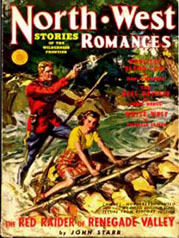 In May of 1925, Glen-Kel Publishing Co., Inc. (Fiction House) first released "North West Stories." 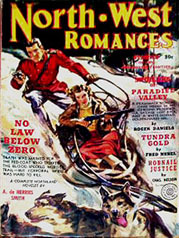 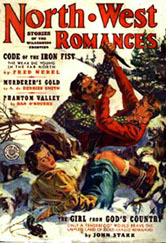 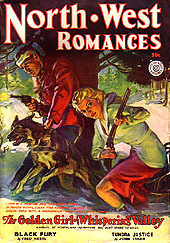 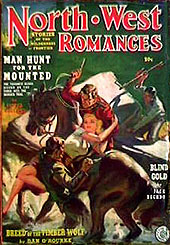 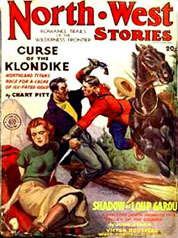 After eleven years, that title was changed to "North West Romances" beginning with the Fall 1937 issue. 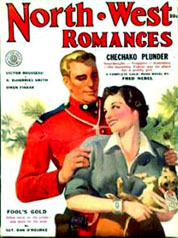 For this reason, the first issue of North West Romances is listed as " Volume 12 - Number 10"
This is an accurate and complete checklist. 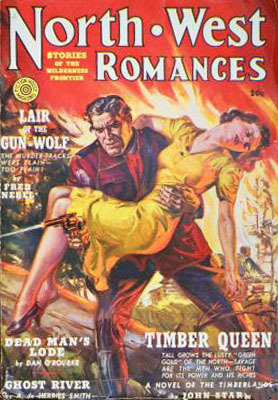 All entries were determined by first-hand inspection of magazines. 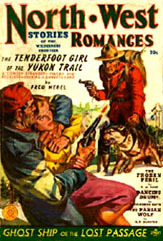 Several issues are shown as poor quality scans or black & white photo-copies. 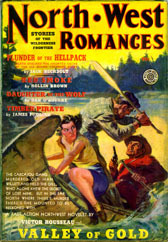 Please send upgraded scans of these issues as 72dpi 6" high jpegs to improve this checklist.